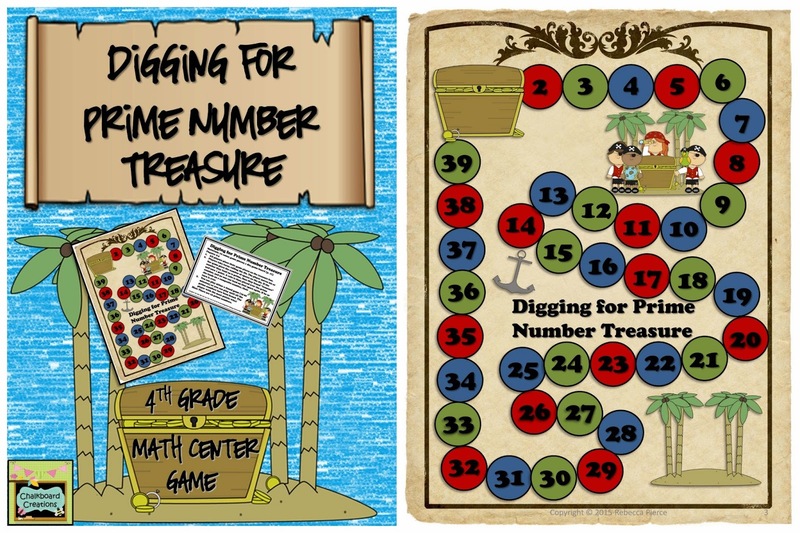 Your kids will love this FREE math center game! 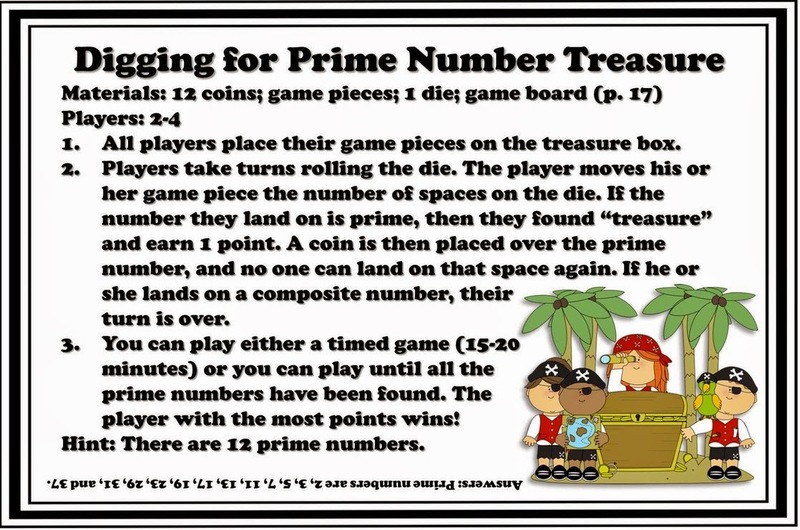 It is a pirate themed game that focuses on students identifying prime and composite numbers. The game comes with a full color game board (that also looks great in black and white) and a half page card with student instructions. The only other materials you will need to play this game are 12 coins, game pieces, and 1 die. This game is great for math centers, math workshop, or early finishers! If you enjoy this FREE math center game, it is part of a larger paid product called Math Center Games Packet for School or Home (4thGrade). In this product you get 9 other math center games focusing on rounding, multiplying, dividing, comparing fractions, converting improper fractions and mixed numbers, adding and subtracting fractions, comparing decimals, identifying geometry vocabulary, and practicing basic facts.